Berlin based agency Photocase offers a set of images different from what you see at other places. More natural, more authentic, more real life experience. We have got our hands on a exclusive Photocase coupon code. Check out our Photocase review here or just click here to redeem your 25% promotion. Photocase is an extraordinary player in the image agency field: Their image library is relatively small with nearly 300,000 images at this time. However, they focus on the more unique type of images that are way out of what you would expect to see at the competition. Also, its German home base helps them understand the European needs better. This comes in handy for corporate buyers who are not allowed to use credit cards of PayPal as payment options: Photocase is accepting payments through direct debit and has an invoice option. 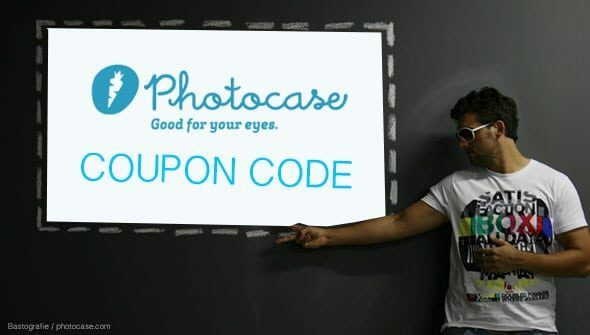 Go get the Photocase coupon code now and get 3 free credits to be used on image downloads right away. Photocase is a stock photography website that offers hand-picked photos for people who are looking for atypical photos. With passionately-curated stock photography, it includes natural, contemporary and creative images from a huge number of contributors. It has currently over 300,000 photos in its library to cater to editors, bloggers, and other members of the creative community. The website features photos with a modern feel for prices that fit any budget. Founded in 2001, Photocase has more than 50,000 customers who share the website’s passion for inspiring stock photography. Its customers include some of the largest editors, bloggers, publishers, and design and advertising agencies in Germany. Serving a huge number of freelance graphic designers and editors, it is committed in providing copyright protection to both buyers and sellers. How does Photocase photography work? Photocase provides licenses to photos purchased by users to protect them from legal issues involving copyright laws. It allows users to use the photos to their creative projects with no restrictions. However, unlike other websites that scattered over the Internet, it offers more unique photos with higher quality. The website prides itself for exclusively selecting photos so users do not have to do the hard work. The stock photo site has always searched for the out of the ordinary. It specifically states that to remind contributors of the website’s guidelines on accepting photos. Photocase offers a different style of photography as an alternative to the typical photos as the company believes in quality over quantity. In a word, it favors photos with character. Users usually buy photos to fit their creative needs. They may require these photos for flyers, brochures, websites or blogs. Whatever their needs are, Photocase can fulfill them. The website allows users to buy photos using credits or cash. For users who only require one photo, an instant buy button is available with no required registration. For those who need more photos, they can download credits with their prepaid accounts. Simply click “Download Photo” once you find the photo you want. Then, choose whatever payment method best suits you. If you want to instantly buy the photo, just click “Instant Buy” found at the right side of the photo’s page detail. If you wish to download by credits, visit the stock photo site’s shop to choose the package size that suits your needs. Does the website offer subscription plans? Like other stock photo sites, Photocase also offers subscription plans. Current subscription options starts at 9 credits daily for one month. All subscription plans require a minimum of 3 months term. Plans will remain active until cancelation. Fees are automatically charged every month on the primary mode of payment used. Subscriptions should be cancelled before the start of the next month. Photocase offers photos in various prices, depending on their size. Additional options and credits may also impact the price. Prices start at €3.00 per photo. In terms of credits, the more you buy, the more you save. Small download credit package includes 3 credits for $4.95. It is the best size for small and digital formats. 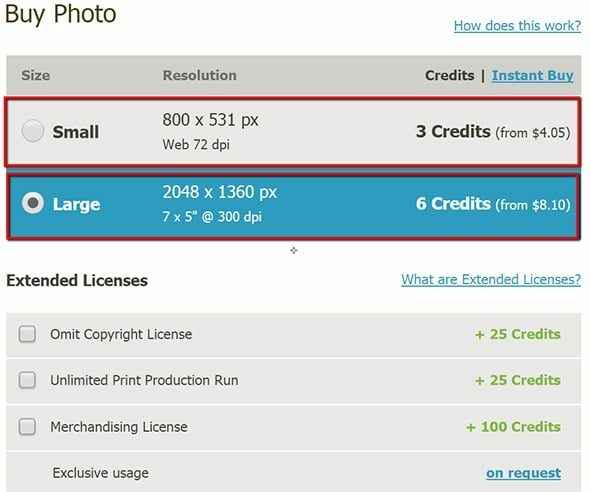 Large download credit package includes 6 credits for &9.90. Considered as the all-around size, it is ideal for large digital and print projects. SUPER-LARGE. Super-large is the best choice for large format and printed projects. For only $16.50, users can use up 10 credits. Although the price of the photos is affordable, users can still enjoy discounts using coupon codes. To get a discount, follow this step by step tutorial. Click here to redeem your promo code. A new tab will open for you to create a Photocase account. Fill in the required information (email, username and password). Confirm that you are not a robot by checking the box below. You can also sign in via Twitter, Facebook and Google +. Three credits and a 25% coupon code will be automatically added to your account. 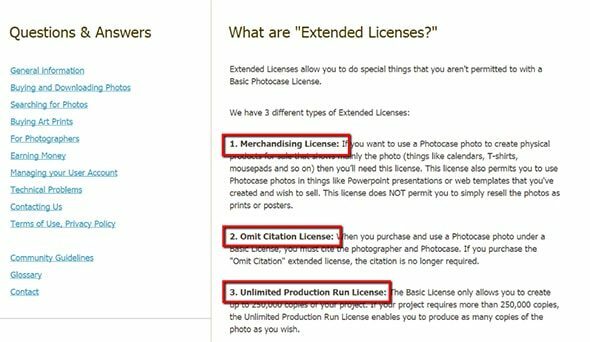 Aside from the standard license, Photocase also offers extended licenses. These include Omit Copyright License, Unlimited Production Run and Merchandising License. Omit Copyright License. Typically, users need to cite the photographer and source of the photo. This license exempts users to cite the source. Unlimited Production Run. Usually, photos can be used by a number of times as specified in the agreement terms. Users who need to create more than 25,000 copies for a project need to acquire this type of license. Merchandising License. 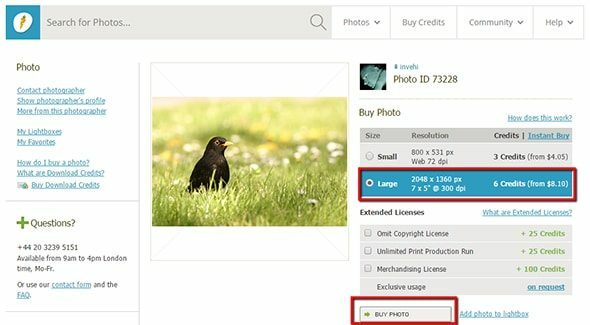 If users will use the photo on creative projects for resale, they need to purchase this option. However, it does not include modifications. Photocase is a remarkable stock photo site alternative for people who are looking for modern photos to fit their budgets. 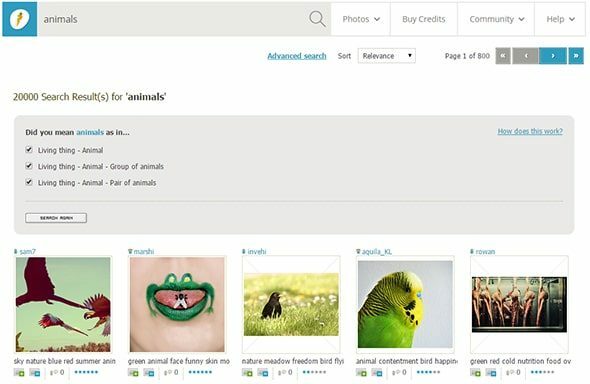 Available in instant buy, credit downloads and subscription plans, users will definitely find inspiration from its library of unique, hand-picked images. It works pretty much like other stock photo agencies, except for the part that it only deals with exceptional works of art. The website offers photos in standard and extended licenses. Standard licenses apply to all photos in the library, while extended licenses can be acquired for a cost. It aims to deliver beautiful, top-quality images for various creative projects. 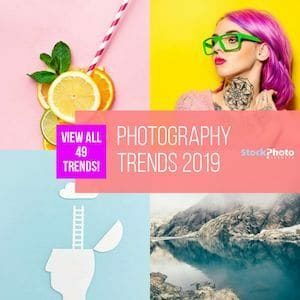 In a word, Photocase prides itself as the leading curated stock photography agency with modern, authentic photos to fit any creative customer’s budget. 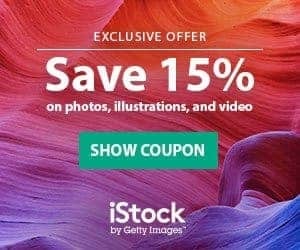 Check out our other post if you need a coupon code for Shutterstock or an iStock voucher.